Snack time is covered! From real fruit-flavored collagen gummies to “popcorn” with a Paleo twist, these three creative, kid-friendly yet healthy snacks will please even the pickiest eater. Sour Melon Collagen Gummies make a fun, kid-friendly gelatin snack without any artificial flavors or processed sugar. Using amino acid rich grass-fed gelatin provides an excellent source of glycine, known for relieving digestive ailments like leaky gut syndrome. 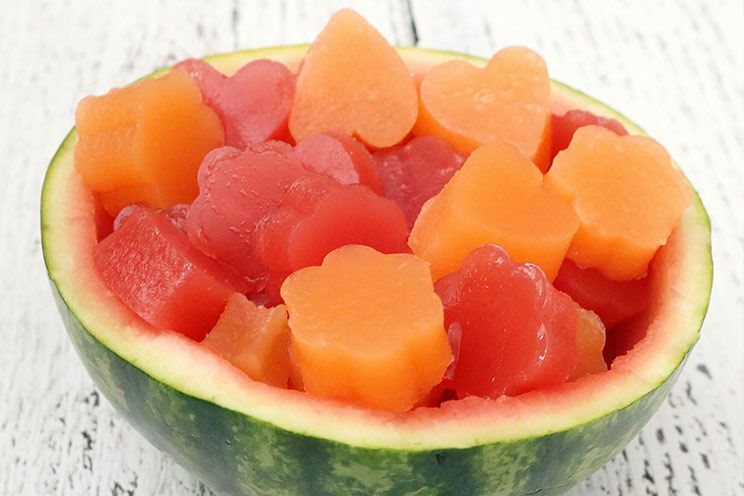 These chewy, 4-ingredient gummies are flavored with real watermelon and cantaloupe juice with a touch of raw honey for sweetness. Kids will especially like the sour flavor from fresh lemon juice. Other great juice flavors are strawberry, raspberry, grape and apple. Just don’t use pineapple juice because they won’t solidify. Once the gummies gel in the refrigerator, they can be cut into fun shapes using mini cookie cutters. These are a great healthy treat for kids with food allergies who often miss out on the fun snacks. Gummies aren’t just for kids either – they contain collagen, essential for building strong hair, skin and nails. So be sure to snag a few for yourself! Sour Melon Collagen Gummies make a fun, kid-friendly gelatin snack without any artificial flavors or processed sugar. Place lemon juice and melon cubes in a blender and pulse until smooth. Pour mixture through a strainer, reserving liquid portion, about 2 cups. Pour liquid into a saucepan and heat over low heat. Stir in honey. Continue to heat until steaming but not boiling. Turn heat off. Whisk in gelatin gradually, until completely dissolved. Grease an 8×8-inch pan with coconut oil. Pour mixture into glass dish. Refrigerate 2 hours or until gelled. Use a knife to loosen from edges of pan and gently slide out of pan onto wax paper or a plate. Use small cookie cutters to cut gummies into shapes. Best served chilled. This Chomps Spicy “Popcorn” is a swap that tastes amazing and trumps traditional popcorn in the nutrition department. Toss cauliflower florets in just a little bit of melted, grass-fed butter and olive oil, then coat in amino acid rich nutritional yeast for cheesy flavor. Next, the florets are baked in the oven until crispy on top and then tossed with Chomps jerky. When making jerky-based dishes, Chomps is one of the best options out there. 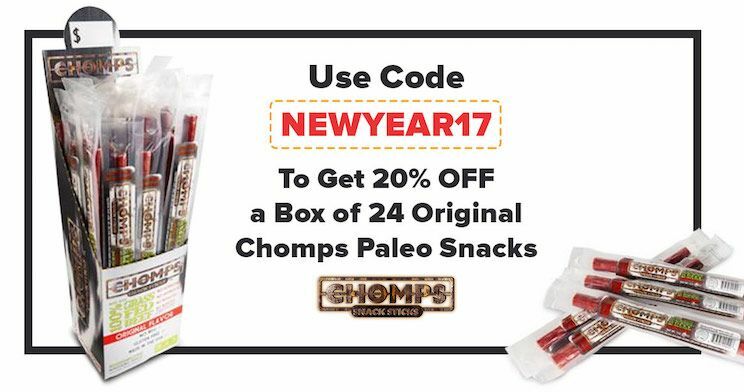 They keep their jerky grass-fed, gluten-free, and with zero synthetic preservatives. 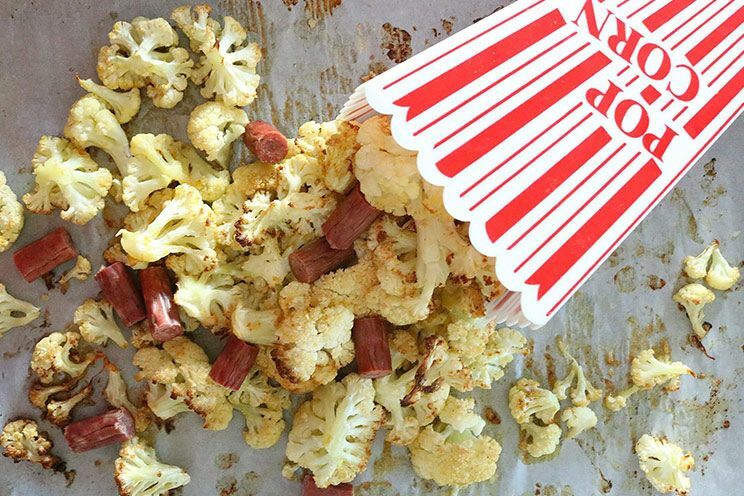 Combined with the cauliflower “popcorn,” this snack mix is perfect for movie time nibbling. You can use the original Chomps jerky flavor or the jalapeño flavor for a kick of heat. Beef jerky combined with cauliflower “popcorn” makes for a snack mix perfect for movie time nibbling. Preheat oven to 400°F and line a baking sheet with parchment paper. In a large mixing bowl, combine cauliflower florets, olive oil, butter, nutritional yeast, cayenne pepper, and sea salt. Toss with hands to coat cauliflower. Pour onto prepared baking sheet. Bake for 15 minutes on center rack. Turn cauliflower with a spatula and bake another 15 minutes. Remove from oven and transfer to a serving bowl. Stir in chopped jerky. Serve warm. 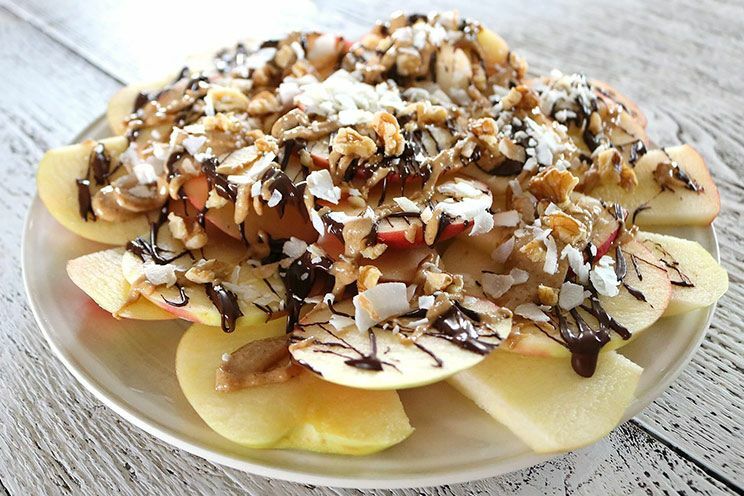 Apple Nachos make a satisfying sweet treat that tastes super decadent. Best of all, they are super quick to make. Thinly slice the apples (leaving the skin on for extra fiber), lay slices flat on a plate and pile with healthy toppings. I went with a drizzle of dark chocolate and almond butter, and then sprinkled them with shredded unsweetened coconut and chopped walnuts. This fun dessert is great for an evening or midday snack and provides healthy fat and antioxidants. This fun and satisfying dessert is great for an evening or midday snack and provides healthy fat and antioxidants. Arrange apple slices on a plate or serving platter. In a small saucepan over low heat, melt chocolate chips until smooth. Drizzle over apples. Next, soften almond butter in saucepan over low heat. Use a spoon to drizzle over apples. Top with coconut flakes and chopped walnuts. Is Circumcision Going to Treat the Pearly Penile Papules?